There is a chrome extension called ‘User-Agent Switcher for Chrome’ which lets user spoof their user agents used by websites to identify device you’re surfing on. Using this simple User-agent hack you can set your chrome installed Windows PC to be identified as Safari on OSX or iOS on iPhone & iPad by Apple servers to let you watch live stream of Apple WWDC 2013 event. 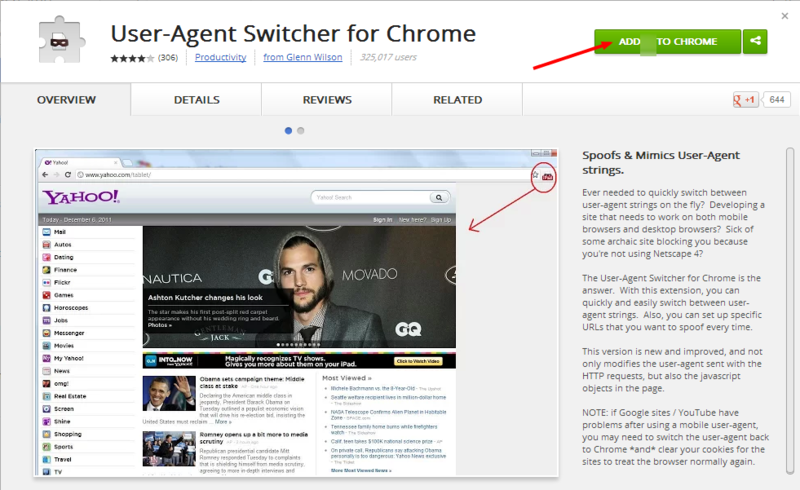 Step 1 : Go to chrome store from new tab page and search for ‘User-Agent Switcher for Chrome’ or go to direct link to extension here. Step 2 : Click on ‘Add To Chrome’ button to install extension on Chrome browser. Step 3 : Once extension will be installed in browser, Shortcut logo to extension will start appearing next to Omni search bar. 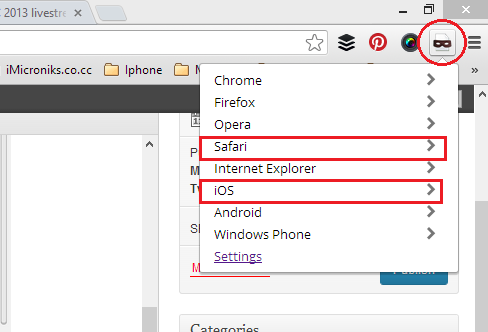 Click on it and select Safari -> OSX Safari 5 or iOS -> iPhone 4/iPad to change your browser user agent in order to watch event on your Chrome running Windows PC or any other devices. Is it worked for you? Tell us how much you’re excited to watch Apple WWDC 2013 live stream video without owning any Apple device? Start commenting below! This entry was posted in Tech Update and tagged 6, apple, Apple TV, Chrome, device, event, how, imac, ios, ipad, iphone, ipod, iwatch, mac, on, to, watch, Windows PC, without, wondows. Bookmark the permalink.